Some of you may remember Debbie Travis from HGTV. I saw her make a Tuffet on one of her shows so I decided to take a shot at it. This being our first try at making a Tuffet, we had to figure this one out together. I had leftover curtains from Fortunoff that I knew would complement the room nicely (I have to say I loved that store and miss it to this day) from the Living room. We then had to cut a circle out of plywood for the base. You may notice I say “we” when it comes to building things in our home, but my husband John is the builder and I am the idea woman and I finish the job by doing all the pretty things. Anyway, we got the circle cut out and then we added some bun feet on the bottom. Next step was to cover the base with foam and wrap it tight with batting so the edges of the padding would not be visible. Finally, we used the leftover curtain to wrap the whole thing and secured it underneath the base with staples. To add a little interest and some color I decided to add some nice beading to the bottom. 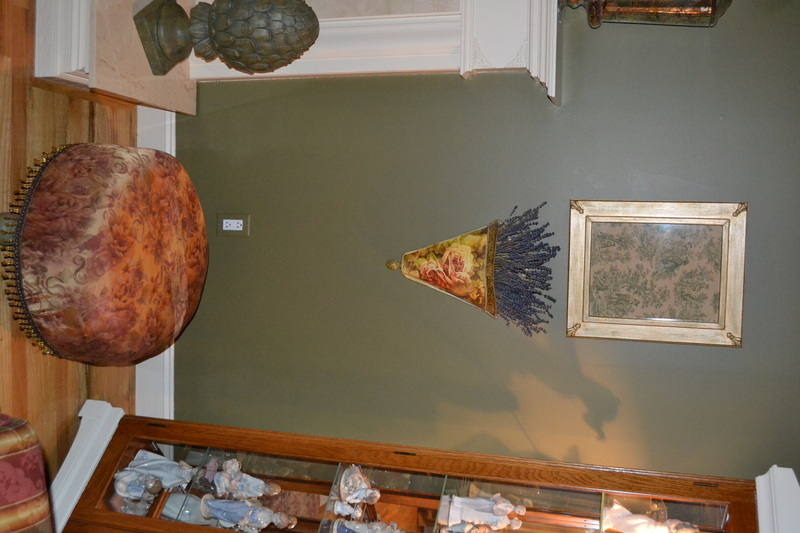 The picture above the tuffet is made from some leftover toile fabric that I did a tea stain treatment to (tea bags in hot water, let cool a bit and soak the fabric in it for a spell to get an aged look). Once dry, I attached it to a thin piece of plywood and inserted it into a repurposed frame that I treated with a nice coat of paint. These are beautiful. You give me so many ideas! 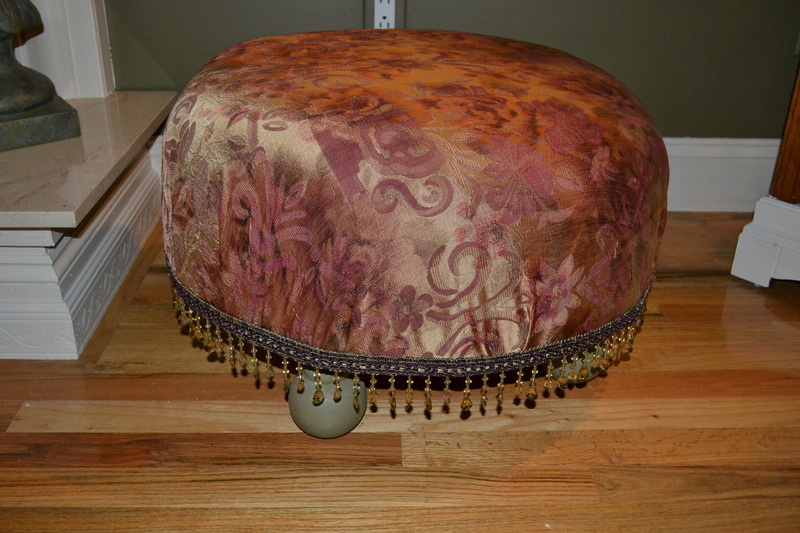 I always wanted to make a tuffet! And I am definitely going to copy that framed toile! 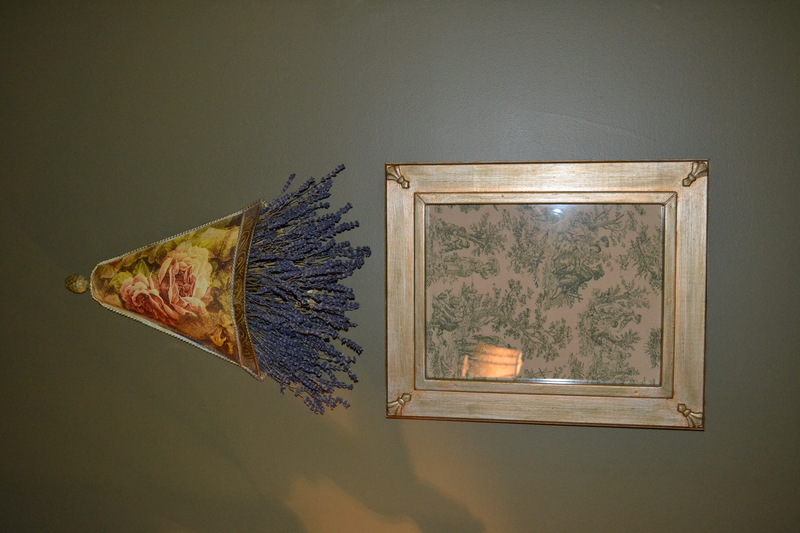 I love the toile picture. I will have to try making it one day.